This 1950’s 24.3×39.3mm solid 14k. 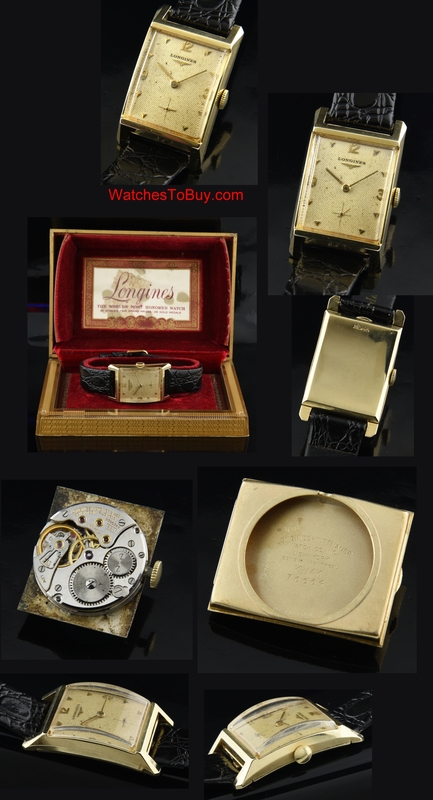 Longines is a great looking dress watch and comes complete with its original box. The honeycomb dial has patina and is original. The LONGINES manual winding movement was cleaned-accurate. The solid 14k. 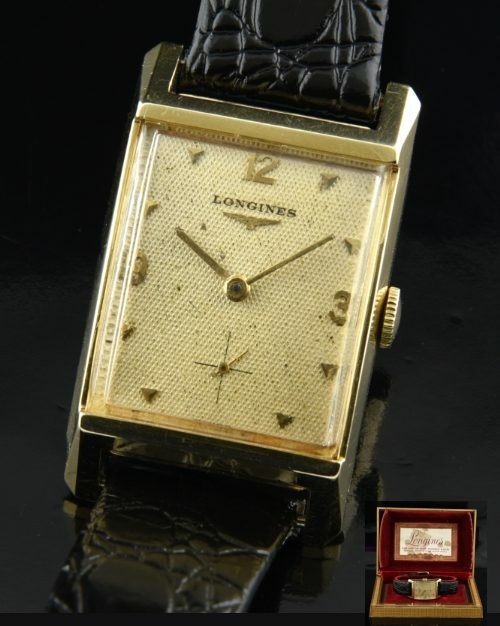 gold LONGINES case exhibits lines of the classic40’s and 50’s vintage watches. $895.